Sgt. Theisen (left) and Sgt Leal in front of the P-16E 7033. 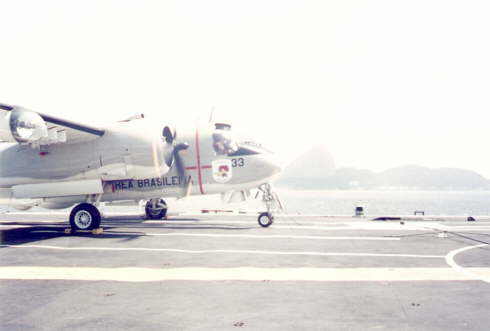 This aircraft was lost soon after, in an accident in it's home base at Santa Cruz Air Force Base, Brazil. Aircraft engine's turn up for maintenance purposes. Sugar Loaf mountain in the background. 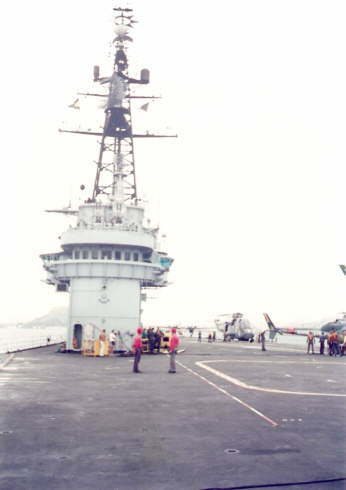 Minas Gerais flight deck looking aft from the starboard side. 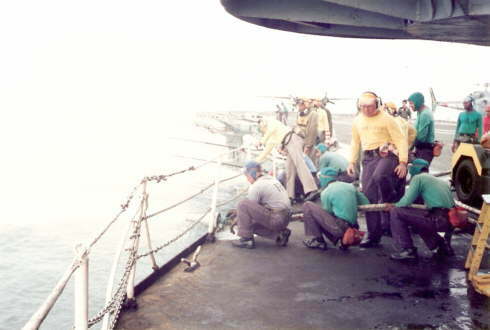 The various crew's can be seen at work. 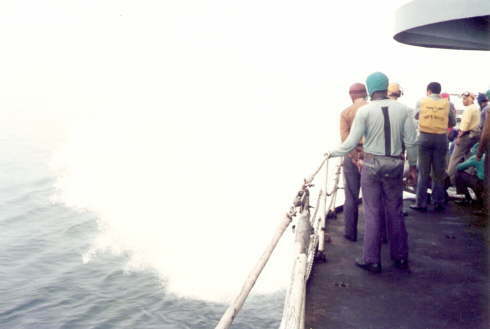 This photo shows the crew performing foam lines check, after the ship left Guanabara Bay for an aviation safety evaluation of fire equipment. 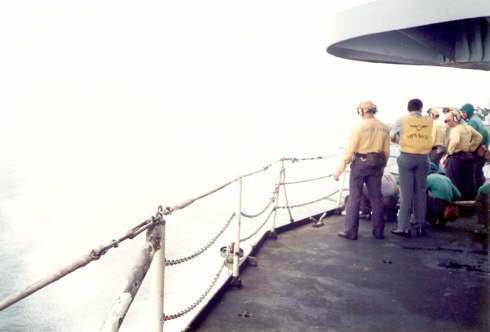 Photo taken from starboard side, looking aft, beneath the rear pom-pom gun mount. Various Minas Gerais phone cards which can be used in telephone boxes around the country in Brazil. 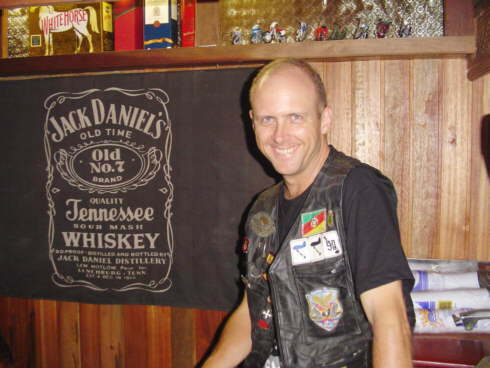 Sergeant Luis Theisen (Brazilian Air Force) served aboard Minas Gerais from 28th September 1988 to 9th October 1996. 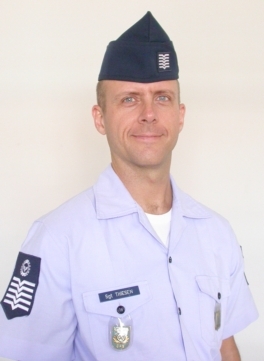 Luis Thiesen, back in civilian life, 2005. With thanks to Sgt. 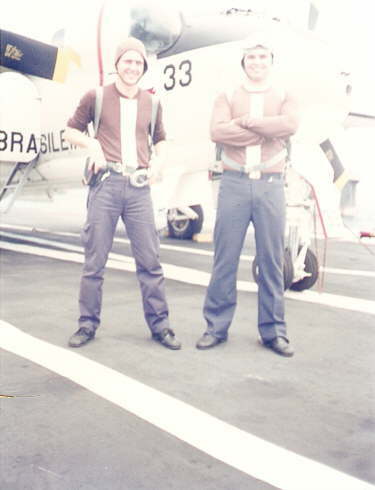 Luis Thiesen (Brazilian Air Force - Minas Gerais) for these photographs & items.